7 trends that will dramatically affect the success of your support team. It’s a challenging time for customer service executives. Customer expectations are higher than ever … and competition is stiff. Roughly 82% of customers are willing to leave a brand because of poor customer service. 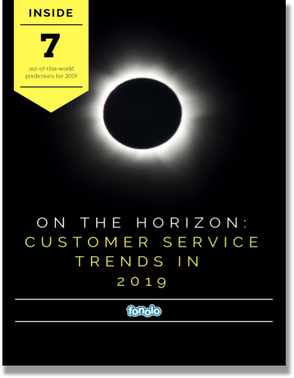 In this report, we set out to provide customer support executives with the insights they need to meet the expectations of their customers in 2019 (and beyond).